We’ve all been given advice from our moms over the years. I think everyone’s mom has told them to “always wear clean underwear, you never know when you’ll be in an accident.” As it turns out, this advice is somewhat true; you never know when you’ll be in an accident. What’s also true, however, is if you are indeed in an accident, the state of your underwear is the last thing on your mind, and I’m pretty sure, the last thing on the mind of the people taking care of you in the ER. And, I don’t know about you but my mom used to drill it in me to “never pick up a hitchhiker” and, in a similar vain, “don’t hitchhike.” Clearly this was solid advice also. I was just talking with a friend the other day who told me her grandfather was killed by a hitchhiker. And, I don’t think I’ll ever forget how easily my mom was able to drive home the point of not hitchhiking by telling me about Brian, who lived down the street, and had been attacked when he climbed into a car full of strangers narrowly escaping with his life as he jumped out of the moving vehicle. Then again, my brother used to hitchhike from his college to the golf course and he’s still alive to tell about it. There’s one piece of advice, though, I got from my mom that I’m sure few other moms have shared with their daughters. Before I pass this advice on to you, however, I need to share a bit of back-story. My husband, John, and I, lived in Minnesota for just over a year before we bought our first house. We were pregnant with our first child when took up occupancy in late October. Being as we live in Minnesota, our need of purchasing a lawn mower was delayed for several months because the only thing that grows between October and April is the pile of snow in one’s front yard. 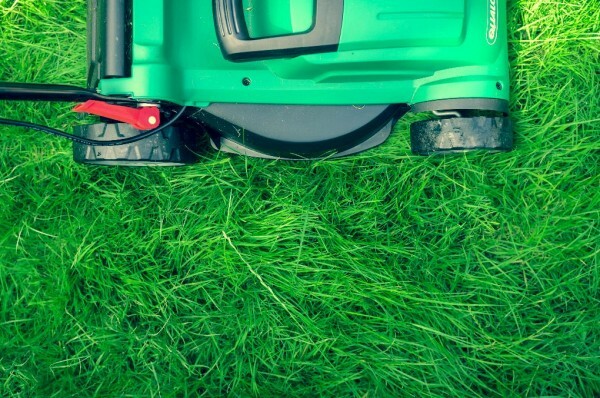 Once the snow melts and the shovels are packed away, however, a lawnmower is an essential tool of home management. So, packing our now newborn son into the car seat (which has since been deemed horrifically unsafe) we headed to the hardware store and bought our first lawnmower. We felt like real adults. We now had a baby, a house, and a lawnmower. Surely this was a sign that we were full-fledged adults! Proud of our newest acquisition, and the “we’re real adults” status that came with it, I called home to tell my mom. As soon as I said, “Mom, we bought a lawnmower today,” the first words out of her mouth were, “Never learn how to use it.” It still makes me laugh but honestly, whenever anyone says, “what’s the best piece of advice your mom ever gave you?” this “don’t learn how to use the lawnmower” advice is always my answer. Mom’s reasoning was solid, too. If you don’t know how to run the lawnmower you never are the one stuck mowing the lawn. Other than that one brief slip up of mowing a small section of the front yard, I have remained true to my mom’s warning, “don’t learn how to use the lawnmower.” Thanks mom, for the stellar advice! This entry was posted in Tips and Tricks and tagged advice, lawn mowing, mom on September 11, 2017 by Nancy. Thanks for the great read! I see where you get your sense of humor! Love it! You always make me smile! ??? ?